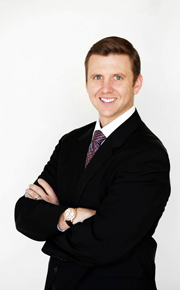 Court Will is an experienced and dedicated criminal defense attorney. A graduate of Pepperdine University Law, Mr. Will has worked in several California state and federal prosecutor’s offices prior to turning to defense work. Using the knowledge gained at these organizations, he now works tirelessly in his endeavor to provide the best possible representation for his clients. Mr. Will puts in the extra time and effort necessary to achieve optimum results for each and every one of his clients. Knowing the prosecutors, judges and other personnel in the courts aids Mr. Will in effectively defending and resolving many cases in the pre-trial stages. However, Mr. Will has also been very successful at jury trial when cases must go that far to achieve the outcome desired by his clients. Mr. Will belongs to the National Association of Criminal Defense Lawyers, California Public Defenders Association, San Bernardino County Bar Association, Riverside County Bar Association, and the American Bar Association. He is also involved with numerous community organizations and pro bono activities. When you hire Court Will to defend your rights, you are guaranteed that he will leave no stone unturned in providing you with unsurpassed legal representation. REMEMBER…WHERE THERE'S A WILL ON YOUR SIDE, THERE'S A WAY!